Peoples of Sicily - See Palermo and Western Sicily. Sicily's place in the central Mediterranean has made it a point of contact between Europe and Africa, and between western Asia and the western Mediterranean. The succession of peoples who have settled or conquered the island has left its mark on its history and culture, and even its genetics. 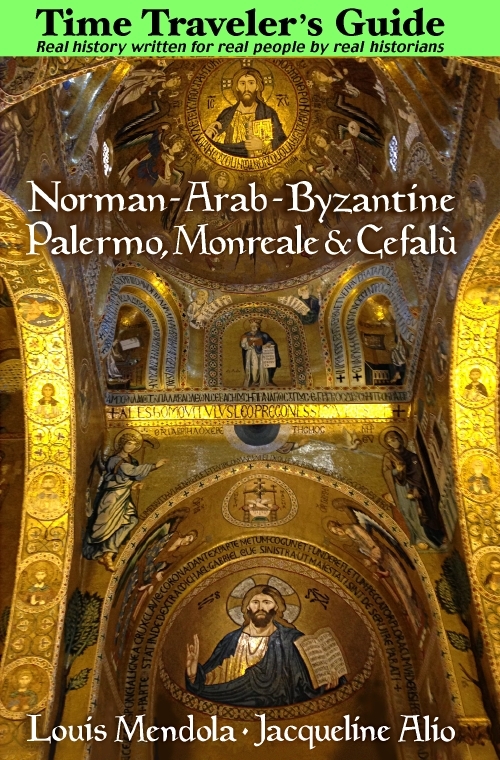 Yet it is obvious that for many who visit Palermo, or who simply read something about Sicilian history, the distinctions between (for example) the medieval Normans and the "Angevin" French are not always clear. That's partly the fault of historians themselves, but also of us trying to apply our modern concept of ethnography and even geography to earlier times. Truth be told, many of the authors of travel articles and even travel guide books overlook the important element of historical context --hence one writer thought that the Byzantine Greeks were "Turks," without knowing that the Turkish peoples invaded Asia Minor (now Turkey) only many centuries later than the period about which she was writing. This reminds us of the saying that, "a little knowledge is a dangerous thing." In times past, particularly in the Mediterranean region, even the very concepts of "Europe" and "Asia" and "Africa" were quite different from how we understand these terms today.